Usually it’s a bad thing when you grow out of something, but the saints at Hope Church Leppington are celebrating. Since their first meeting in 2016, their congregation now no longer fits inside the converted garage they use for a church building. It was a small team of 40 that joined Hope in 2016; now 220 adults and children make up the Hope Church family. To accommodate these numbers, a second morning service launched a few months ago. While church members await the construction of a new building, they have erected a marquee to create more gathering space, dubbing their new morning tea area “The Grounds of Leppington”. 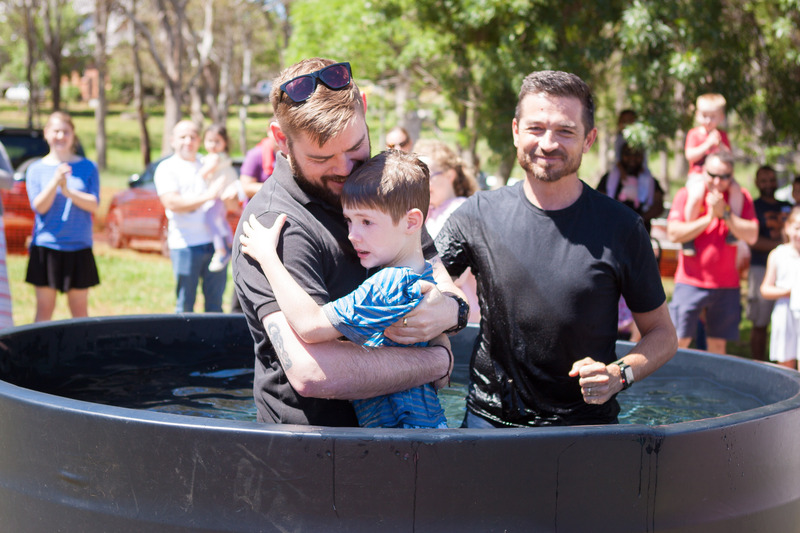 "We want the empty chairs to reinforce that our mission is urgent"
In the past year, 18 adults and kids have responded to this hope and become Christians, with several baptisms marking these wonderful conversions. Des Stapleton describes his journey from disillusioned Catholic, to militant atheist, to follower of Christ, which started with a simple invitation from the Symons’ family to visit the church: “We decided to go along to support our new friends, with no intention of becoming Christians”. This first visit led to a second, and then to joining an Introduction to Jesus course. Mr Symons longs to see Hope, and the kingdom of God, continue to grow in this way as the good news is proclaimed. "The harvest is certainly plentiful"